Patricia Raybon grew up in a time of hate, but rejoices she found God’s love in a time of need. 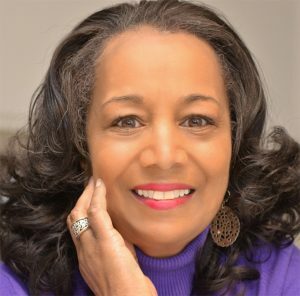 An award-winning author and journalist, she writes about faith, race and grace — seeking to inspire healing and connection in Christ. Her many acclaimed books include My First White Friend, which won a Christopher Award; I Told the Mountain to Move, a Book of the Year Finalist in Christianity Today Magazine’s 2006 book contest; a One Year® devotional on Bible virtues entitled God’s Great Blessings; Bound for Glory, a tribute to African American spirituals, co-authored with calligrapher Timothy Botts; and Undivided: A Muslim Daughter, Her Christian Mother, Their Path to Peace, co-authored with her younger daughter Alana Raybon. A journalist by training, Patricia earned a B.A. in journalism from Ohio State University, an M.A. in journalism from the University of Colorado at Boulder, and is a former editor of The Denver Post’s Sunday Contemporary Magazine, and a former feature writer at the Rocky Mountain News. In mid-career, she joined the journalism faculty at the University of Colorado at Boulder, teaching for 15 life-changing years. She now writes full-time and is a regular contributor to Our Daily Bread Ministries and the DaySpring women’s blog (in)courage. Her essays have been published in The New York Times Magazine, Newsweek, USA Today, Guideposts, Christianity Today, In Touch Magazine, other faith-related blogs, and aired on National Public Radio’s Weekend Edition. A mother of two and grandmother of five, she lives with her husband Dan, a retired educator, in her beloved home state of Colorado. They share a love of movies, bicycle-riding, travel and PBS mysteries. She supports Bible translation and literacy efforts through Wycliffe Bible Translators, her favorite charity. In all of this, she seeks to live in the spirit of one of her favorite Scriptures: “For I am not ashamed of the gospel of Christ: for it is the power of God unto salvation to every one that believeth.” (Romans 1:16, KJV).